Palm OS products have always covered the lower-end of the PDA market, but both Palm and Sony have released products that are extremely affordable, even to the cashless student. Palm came through with a sub-$100 device while Sony as a series of products for users that want spend less then $300. 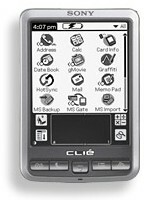 The simple style of the Palm OS along with the lower-end technology make these devices inexpensive and economical solution for users that was to carry data with them and keep track of data better. Palm's Zire packages Palm OS functionality into a PDA that is under $100. The Zire is based on a 16Mhz Dragonball processor with 2mb of memory. The Zire isn't a power device but is made for simplicity and for getting users interested in what a PDA can do for them. It utilizes a simple grayscale screen and includes two buttons in a 3/5" thick package. The device can display the portability of PDA's but its only real functionality is for personal information management (PIM). Sony's CLIE SJ20 simple device that packs some special features. Based on a 33Mhz Dragonball processor, the SJ20 includes 16mb of internal memory (the same amount that many high-end Palm OS devices includes). It also includes the standard Sony Memory Stick slot for expansion. Though the SJ20 only has a grayscale screen, it has twice the resolution of other devices meaning a better display quality. Sony's CLIE SJ30 is a color version of the SJ20. It includes a 33Mhz Dragonball processor as well as 16mb of memory. It includes a Memory Stick slot as well as a high resolution screen. The screen features 16-bit color for the extra $100. 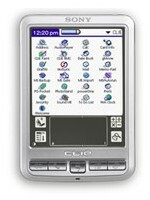 The SJ30 can complete with other Palm OS 4 based devices and provides better support for applications. Never before have so many Pocket PC's been released at an initial price of under $300. For the most part, since the Pocket PC platform hit the market, it has been a high end PDA, but finally manufactures have seen the light and decided to go head to head with Palm OS devices of a comparable price. In the past, low cost devices have always had a increased bulk either because it was a measure to deflate costs or to promote upgrading to a more expensive device. But once again, manufactures seem to have to come a realization. Pocket PC's should show their true colors in all form, inexpensive and expensive. That is just what the inexpensive devices from Dell, HP, and Viewsonic do. Dell's Axim X5 (Advanced Version) provides top of the line power and expandability into a low priced device. The Axim utilizes the Intel XScale processor running at 400Mhz with 64mb of internal RAM and 48mb of ROM (some of which can be written to by the user). Users have the ability to upgrade via a Compact Flash slot or the Secure Digital slot (which is not SDIO compatible). The Axim includes a 1440mAh removable lithium battery. A draw back to the Axim is its size. Though it is similar to the form factor of an iPAQ (3000 series) or a Jornada (560 series), it isn't ultra-thin like many users might be looking for. 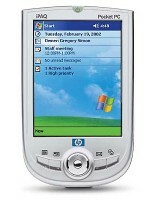 HP's iPAQ H1910 carries the iPAQ name but in a new form factor. The new size and style doesn't allow the 1910 to utilize the previous iPAQ expansion sleeve system. The 1910 utilizes the Intel XScale processor running at 200Mhz with 64mb of internal RAM (xxmb available to the user) and 16mb of ROM. Some of the internal RAM is used by extra software included with Pocket PC 2002 like Windows Media Player. 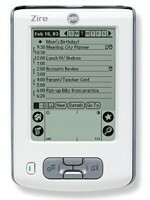 Since the ROM is only 16mb, the 1910 suffers from the same problem users saw with the 3600 iPAQ upgrades, that being that all Pocket PC components cannot fit into the ROM. The 1910 includes a SD slot (not SDIO) and a 900mAh lithium battery. ViewSonic's V35 is one of the (if not the) smallest Pocket PC's ever. The V35 utilizes the Intel XScale processor running at 300Mhz with 64mb of internal RAM and 32mb of ROM. For expandability, the V35 includes a Secure Digital slot (SDIO). The V35 uses a lithium battery. Not only is the V35 ultra-thin but also ultra-light. ViewSonic bundles the V35 with a transflective screen (same as the iPAQ 3900's), for a vibrant display in almost any light. Out of the six products, each really has a different feel and style to it. Based on what you need and what you like, one style product might better suit you. A gift of any of these to someone that new to mobile computing would be well received and allow the user to explore what PDA's have to offer, though I would take a look and consider how the receiver is likely to use the device. The first thing to aid a decision is to look into which operating system is right for you (or makes the most sense). Many users find that the Palm OS is a much better operating system for organizer style use. 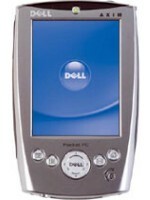 Others look at the Pocket PC as being more like their desktop computer. Each product has its pros and cons, but certain devices will be better for certain types of people. Users looking to go wireless might consider a Dell Axim as it has the Compact Flash slot that can easily support various wireless cards. Users that want an inexpensive device to use as an organizer might look toward the Palm Zire as it is simple and practical for that purpose. Users that want a go anywhere product with room for growth might look to the Sony CLIE or ViewSonic V35 as each is a solid product with built in expansion technology like the Memory Stick or Secure Digital. Out of these six products there really is something that can satisfy almost all types of users. But the most important thing when choosing a devices is which feels the best...so go out and try some! If some of the terminology used in the feature is unclear, here are some definitions that may help. RAM - Random Access Memory. The bulk of the data interacted with by the user is stored here. Larger is usually better as it gives more space to work with. Mhz - Megahertz. Measure of processor speed. Higher processor speed means the device can do calculations (think) faster. SD - Secure Digital. Similar to CF but a different form factor (smaller). SD slots can only handle memory. mAh - Milliamp Hours. The bigger the number the better. It all depends on the device, but a bigger number often means longer battery life.